The U.S. Senate will return early from a week-long recess in a last-ditch effort to extend provisions of the Patriot Act that the National Security Agency have used to collect millions of domestic telephone records over the past nine years. The Senate is scheduled to resume debating whether to extend or amend Section 215 of the Patriot at 4 p.m. ET Sunday, hours before that part of the counterterrorism law is due to expire. The Senate was previously scheduled to return from an extended Memorial Day break on Monday, but Section 215 of the Patriot Act expires at 12:01 a.m. that day. It's unclear what direction the Senate debate will take. As of Wednesday morning, Senate Majority Leader Mitch McConnell hadn't announced what votes will be taken Sunday evening. Last Saturday, before the break, senators rejected both a two-month extension of Section 215, which would allow the NSA's phone records collection program to continue without changes, and also the USA Freedom Act, a bill passed by the House of Representatives aimed at ending the agency's bulk collection of domestic phone records. The USA Freedom Act would allow the NSA to continue to collect domestic phone records by naming specific targets for surveillance. McConnell, a Kentucky Republican, has pushed for a straight extension of Section 215 by arguing that any narrowing of the phone records program would hurt U.S. efforts to combat terrorism. Other senators, including Rand Paul, also a Kentucky Republican, and Ron Wyden, an Oregon Democrat, have argued that the mass collection of U.S. phone records violates the Fourth Amendment of the U.S. Constitution, which protects citizens against unreasonable searches and seizures. On Wednesday, U.S. Attorney General Loretta Lynch urged senators to pass the USA Freedom Act, saying the NSA's phone records program will be shut down on Sunday unless the Senate acts. "Without action from the Senate, we will experience a serious lapse in our ability to protect the American people," she said during a press conference. Representative Bob Goodlatte, a Virginia Republican, and Senator Patrick Leahy, a Vermont Democrat, also urged the Senate to pass the USA Freedom Act. "Because the Senate failed to complete its work last Saturday, passage of the USA Freedom Act remains the only viable legislative option that will bring real reform and ensure no lapse in intelligence authorities," the two lawmakers, both sponsors of the legislation, said in a joint press release. "The House-passed bill is the only bill the Senate can pass and send to the President before Sunday night's deadline." The USA Freedom Act has "broad support," they added. But Paul and some digital rights groups have voiced concerns about the USA Freedom Act, saying it would still allow the NSA to collect U.S. phone and business records without court-approved warrants. Paul has pushed for the Senate to allow amendments to the bill if it comes up for a vote. The Electronic Frontier Foundation, in an email alert, called on supporters to contact senators and ask them to reject a straight extension of Section 215 on Sunday. 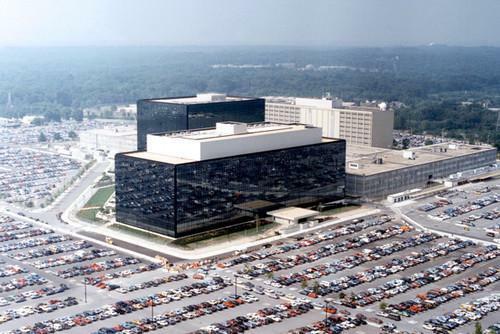 "Surveillance defenders will do anything they can to protect the NSA's powers," the EFF said. "Senator McConnell is ... attempting to bully the Senate into a last minute extension of the program."